Thank you to all the ladies and gentlemen who came to the City Council Meeting on Tuesday, February 27, 2018. It was wonderful to see a good turn out. Out of curiosity I did ask, “How did you learn about the meeting?” The majority of hands raised expressed it was the letter that was sent out. There were some insightful points made that is going to help your City Council to implement standards so that this very thing doesn’t happen again. Mr. Lee Nichols was kind enough to contribute some history that explained what spring boarded Planning & Zoning. Mr. Larry Reynolds brought some powerful, yet common sense items to our attention that should absolutely be addressed regarding permits to inspection standards. I am so grateful that there are many who are graciously understanding how we are a growing population of unique people. It’s perfect timing, as we are reviewing our ordinances with Franklin legal services. So very soon, many things that we have learned along the way will be implemented. Our City Secretary is working on the contact information from the pad that was being circulated in the chamber so that each of you may have that information very soon. So look out for that email from lisa@mclendon-chisholm.com. In addition to this, we will add your information to our current email database. This is one of the cost efficient ways in keeping you informed. I also will help by organizing an upcoming meeting possibly in a month. A couple of the residents that you heard speak inquired if this is something that I could assist with? I accepted to do what I can in getting the word out to the residents. So please do look forward to a future meeting again that is not during a City Council meeting, but with the residents and property owners of Frontier Meadows. For those who were not able to attend the meeting. The answer is our General Law Type Municipality has exclusive control over its city streets. But the City cannot use public funds for any private purpose, such as maintaining a privately owned road. After a number of calls from service providers who are just trying to service the area and from frustrated residents I just couldn’t sit back and do nothing. There’s got to be a solution. So we went all the way back to the beginning of when the development was incorporated back in 1984. After reviewing the deed restrictions from March 15, 1984 we learned that Frontier Meadows did incorporate an HOA that was created with 3 men who formed the Architectural Control Committee. Jim Hunt, Dale Lane and Richard Green. We did make an attempt to reach out to them, unfortunately, we have learned that Mr. Hunt and Mr. Lane are deceased. We were unable to obtain any more information on the whereabouts of Mr. Green. To the best of my knowledge of reading local government codes and with the current changes made in 2012 for homeowners associations, we informed residents to consider reactivating the HOA by consulting with an attorney. All of this could lead to improving their expectations as a community and being proactive in resolving their private road repair. We presented possible solutions such as alternative mail options like a cluster box or Informed Delivery, which is a free program by the USPS to digitally scan letters and sending you an email directly of what mail pieces that you may have awaiting for pick-up. 2. Reactivate the HOA. After consulting an attorney for status​, 2/3 of the property owners would be needed to move forward to collect assessment fees​ to repair the road conditions. We wanted to address all of the resident concerns so they were absolutely welcome to ask questions and comment freely during this session of the agenda. There was definitely a concern of safety and welfare. As officials, we wanted to address and let them know that we are absolutely concerned. This is not a matter of IF, it is a matter of when an emergency will happen. The list is growing of service providers that are not going to service residents that live along Frontier Trail due to the effects of their vehicles being damaged. USPS in Rockwall has stopped including Frontier Trail on their mail routes since December 2017. They informed us that it was due to many repairs on their vehicles and towing costs. The latest is now the waste services. We did inquire the Rockwall County Sheriff related to this subject and Captain Welch informed us that he is unaware of any damage to vehicles. They do respond, but the road conditions may slow them down by a minute or two at the most. I’m awaiting to hear from Rockwall County EMS to review the road conditions. If nothing else, it would prepare them in case of emergency. The road conditions will continue to get worse, because of the very nature of the material that it is. Mr. Gary Nickel who is the current HOA president for Kentwood was able to share insightful information on their experience of repairing 3,000 ft long of road. We also included in the packet that was provided to the attendees an article of Kentwood’s experience. Mr. Nickel gave many pros and cons. He absolutely didn’t sugarcoat that it was a quick process, talked about finances and shared some lessons learned. Mr. Nickel was certainly a good neighbor for sharing and I believe it would be great for Frontier Meadow residents to at least watch the video or read the article that he wrote to give some insight of what a resident may be facing together in the very near future. 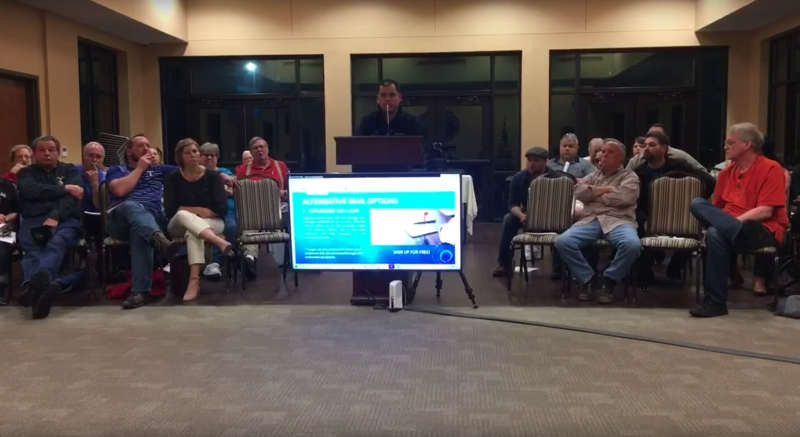 Mr. Emmanuel “Manny” Arias addressed his concerns about the deed restrictions which can be discussed with an attorney to revise or absolve certain things. It was worth to mention our two cents that there is a number of things that you can do. It’s just going to take someone to get the ball rolling to initiate ideas to going in a good direction that will be lasting and not something as Manny referred to as “another bandaid”. Mr. Adrian Stefan addressed his concerns about taking his children to school and the costs of maintaining his vehicles that is additional expenses that he’s enduring due to the road condition. He nailed it on the head by noting the increasing costs of the expense could potentially be avoided if the road was repaired. All the extra monies could have been going to maintenance. Mr. Jesse William brought up about a school traffic concern. We did confirm the traffic route would be expected to go down the main entrances of Sonoma Verde and/or some may come from League Road. It was also mentioned that Sonoma Verde Phase 2 will include an upcoming road repair for League Road scheduled in 2018. Finally, I would like to also mention a special thank you to Letitia Sorensen for your patience and being consistent in reaching out to the City Council and City Management. I want to cheer each of you on in this endeavor and remind you to contact us if there is ever anything that you may need clarification on. As Mayor Steinhagen shared that we can definitely help you where we can.